That’s the life of a diyer. Seriously. then why not make it yourself? 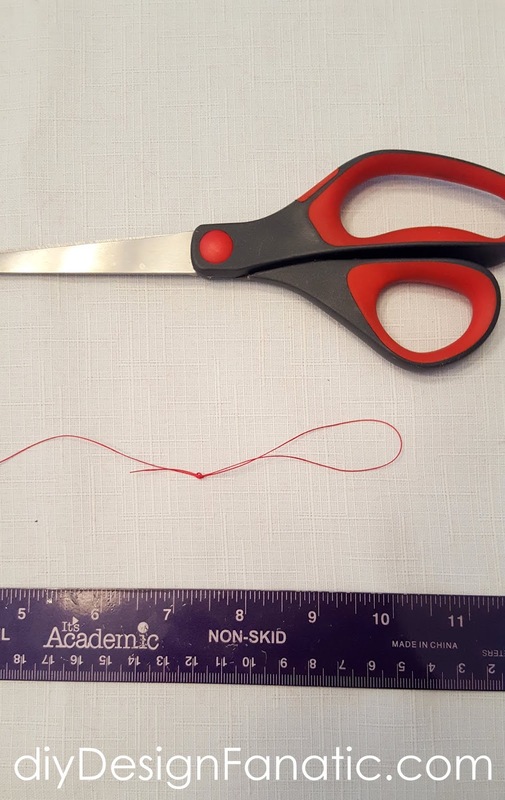 On one end, fold the end of the thread over (about 3”) and tie a knot. 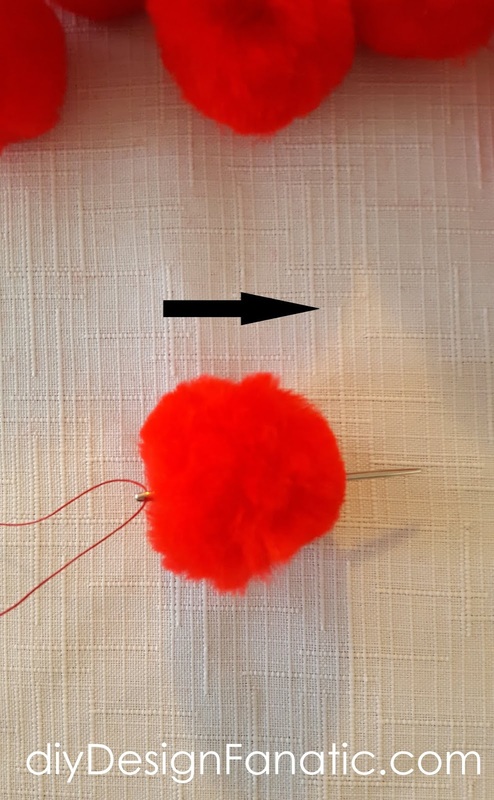 Thread your needle, doubling your thread (because it’s long) and put the needle and thread through the pom pom and pull the thread through to almost the end. Going back the opposite way, put the needle and thread through the pom pom again and pull the thread. Now, put the needle and thread through the pom pom again the opposite way again. 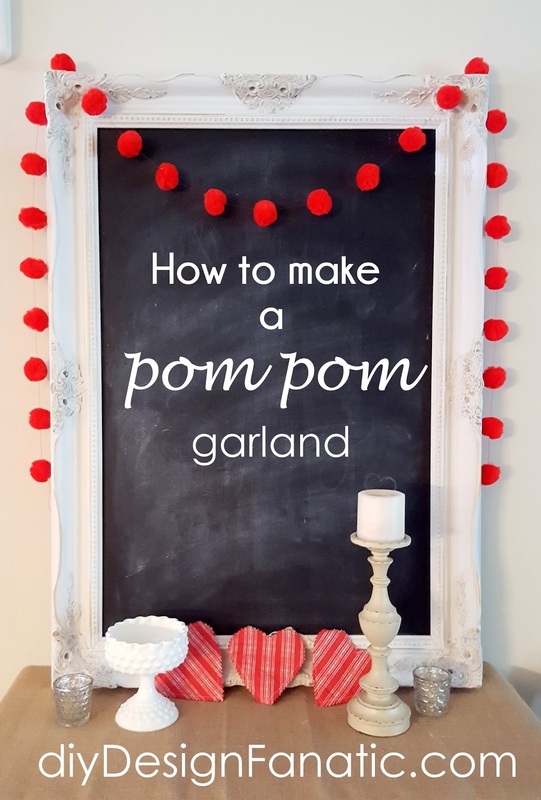 You should be able to slide the pom poms a bit, but they should not be able to slid freely when the garland is hung. 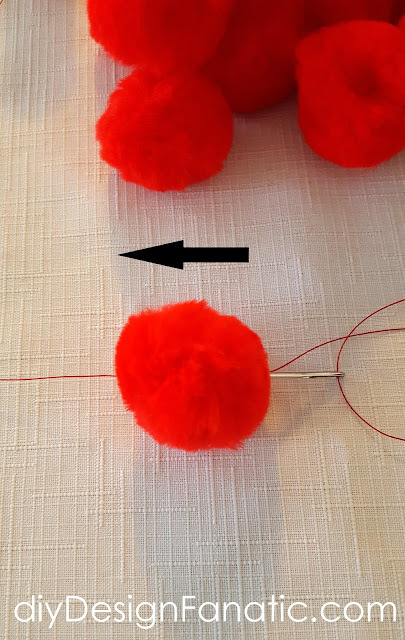 I slid my pom poms so the edges of the pom poms were 2” apart. 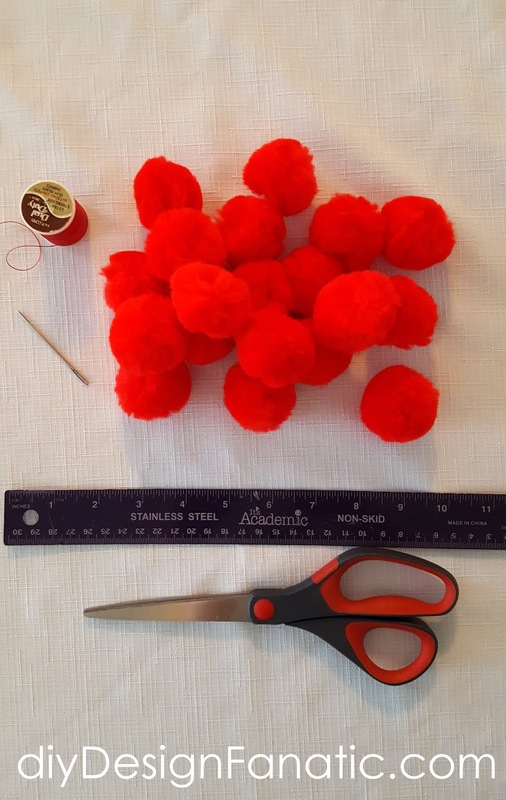 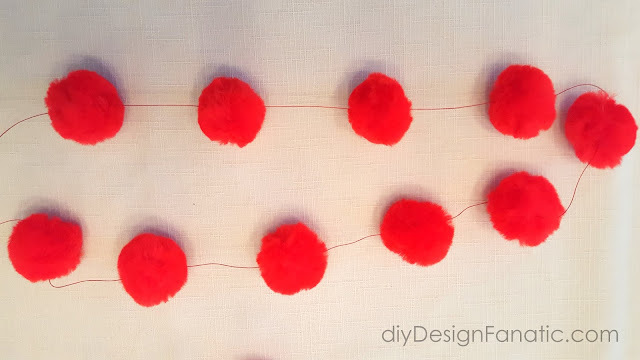 Keep adding pom poms until you fill up your length of thread. 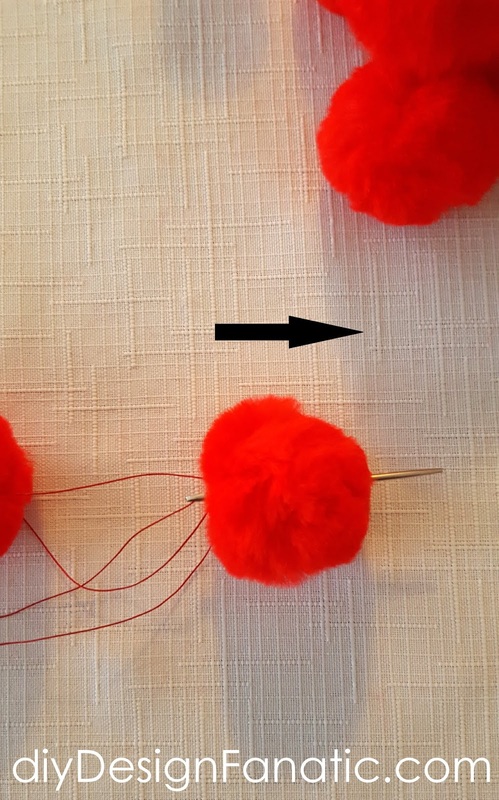 which is where mine ended up in the foyer. Hope you’ll stop by next time to see how I dressed up this vignette for Valentine’s day. 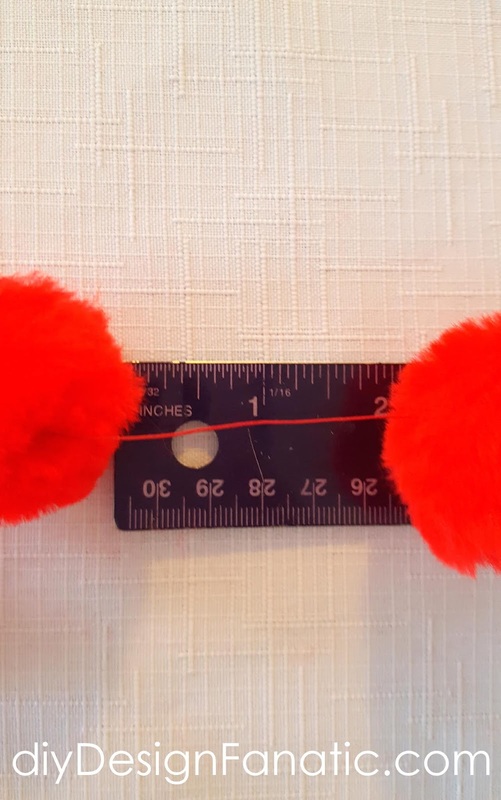 *this post contains affiliate links, which means, I'll make a small commission should you purchase something through one of these links.